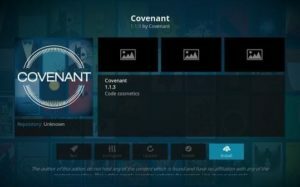 Install Covenant Kodi: The Covenant addon replaces Exodus, one of the most well-known addons in the Kodi user community for streaming movies and series . This is due to the fact that the Exodus development team, Lamda, decided not to release new updates to it, thus condemning its future. 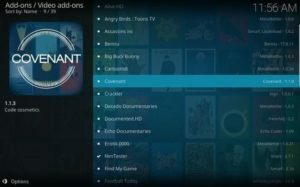 Now this convenant has became more and more popular and many of the users are searching for how to install convenant kodi. 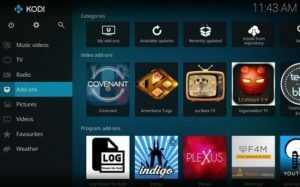 Here we provide the detailed guide for how to download and install convenant kodi. However, do not worry because there are several alternatives to Exodus . One of the best alternatives is this “new Exodus” , which is called Covenant , a substitute based on the same source code. The Covenant add-on is a video add-on where we find multi-link movies and series. The addon is very similar to Exodus , apparently it is a new update. The addon works very well, has a good amount of available fonts and in different resolutions, this add-on is in English (original language), but can add subtitles without problems. For me, Exodus is the best addon to watch movies and series easily and quickly. 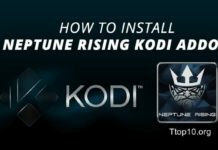 I’ve been using it since I first started using Kodi about a year ago and it was probably the first Kodi addon I installed. I can, however, say that this new successor, the Covenant addon, has everything to be even better. 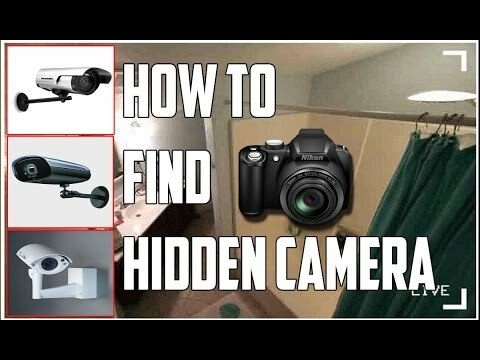 My suggestion is to try it, even because the installation is quite simple and you can quickly see for yourself the great capacity of this addon. 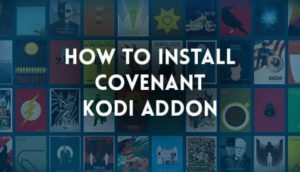 I will then explain how you can install the Covenant addon on your Android TV box or your PC. From the Kodi main menu, choose the add-ons option. Click the box icon (upper left corner). 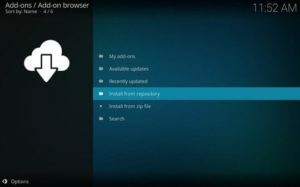 Choose the option “Install from zip file”. 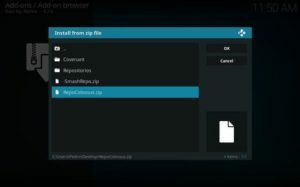 Select the zip file you downloaded in the first step. Go back to the previous menu and choose this time “Install from repository”. Finally Select the “Video add-ons”. Wait for the installation notification successfully. 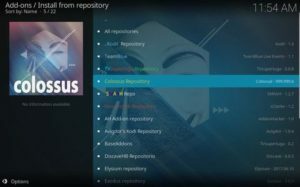 You can access the Covenant through the menu of video addons, which is arrived at as follows: Kodi main screen -> Add-Ons -> Video Add-ons -> Covenant. If you know the Exodus addon, you will certainly recognize the layout of the Covenant . Its interface is very clear and simple to use, being divided into films and series. In addition, you can easily watch any movie or series in HD (in some cases FHD) and with subtitles in Portuguese or another language that you want. On any Android device like tablet, smartphone and even on your Mac / Windows PC or Smart TV , with the Covenant good times with family or your half are guaranteed. 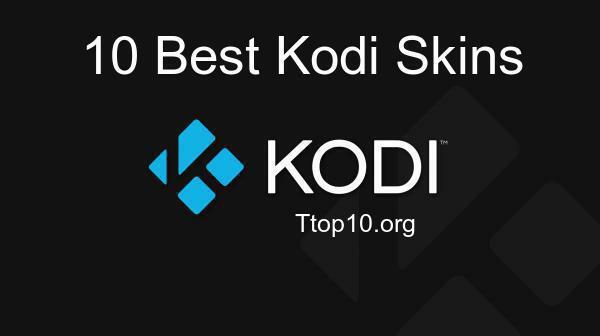 If you have any questions in the process of install covenant kodi or other Kodi addons you can always contact us through comments, by email or social networks.